We’re big fans of SwiftKey X, the Android keyboard replacement that learns about how you use language in order to offer one of the best predictive typing systems out there. Now the app has been updated with new features that make it even more useful. First up, in addition to learning about word use patterns from your SMS history and Twitter and Facebook profiles, SwiftKey can now analyse your blog to get a better idea of how you tend to string words together. Enter an RSS feed and the app will analyse your blogging style. This is then used to help offer better predictions for the next word you’ll want to type when you’re composing messages on your phone. 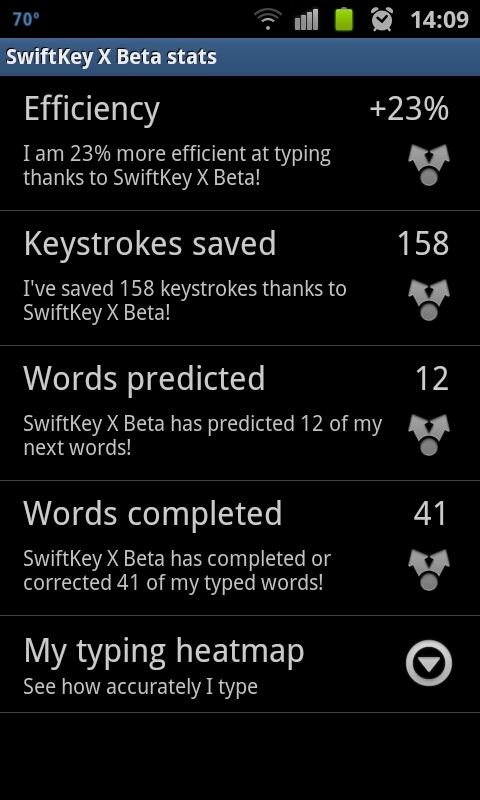 New stats are available to help you understand how much SwiftKey X is helping you, too. For example, since installing the new version of the app yesterday I’m apparently 30% more efficient at typing. The number of keystrokes saved, words predicted and words completed are all suggested. 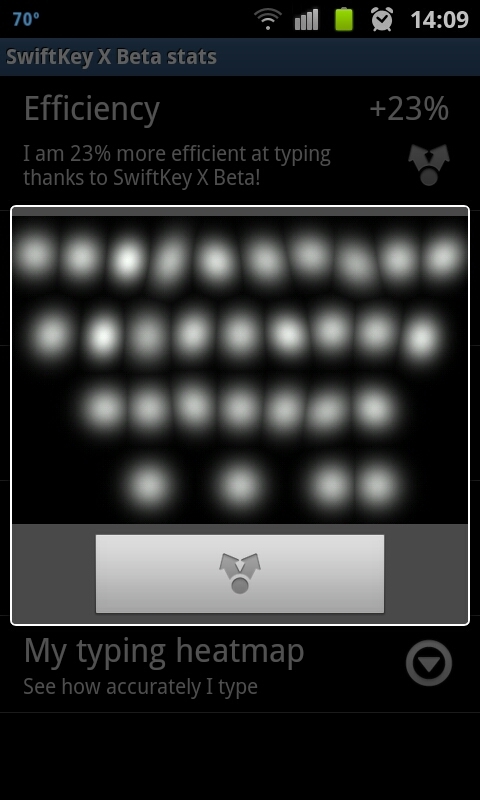 It also offers a ‘heatmap’ visualisation of your typing patterns to show how SwiftKey is analysing you. It’s not all that useful, but it looks pretty cool. Like all the other stats, they can be shared using Android’s built-in sharing options. The new app throws in a number of other tweaks and improvements, along with localisation for more that 20 languages, including French, German and Portuguese, and support for five new languages: Bulgarian, Finnish, Greek, Slovenian and Ukrainian. If you’re an Android user and haven’t tried SwiftKey X yet, it’s well worth giving a go and requires a lot less training than rival app Swype. It’s available for both smartphones and tablets, costing £2.55 and £3.19 or local equivalent respectively. A one month free trial version is also available for both smartphones and tablets.